Celebrate our 3RD ANNIVERSARY in this magical new update! TIANA & FRIENDS JAZZ UP THE KINGDOM! Wish on the evening star in this limited-time event, and welcome characters from Disney’s The Princess and the Frog. Tiana, Prince Naveen, Dr. Facilier, Louis, Charlotte La Bouff, Mama Odie and Eudora are all ready to join your Kingdom! 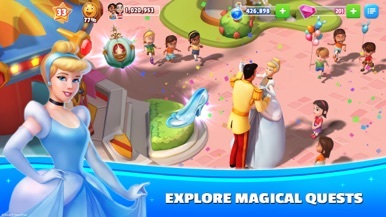 A new Comfy Costume will be available for Tiana! Grab a beignet and chill with the newest Disney Princess to join the Kingdom. 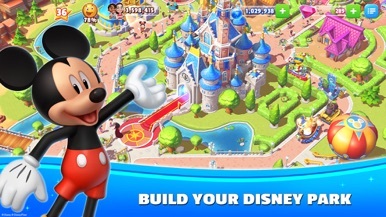 Create the Disney Park of your dreams, filled with beloved Disney characters, exciting attractions and special events! Join over 50 million players worldwide who have embraced their inner child building their own most magical place on mobile. ► Build 100+ Disney Park attractions like Space Mountain, Haunted Mansion, and "it's a small world"! ► From Beauty and the Beast to The Lion King, Toy Story, Frozen and more! ► Go on an adventure through over 1,000 whimsical quests! 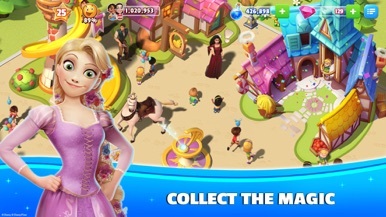 ► Save your Park from Maleficent's evil curse! 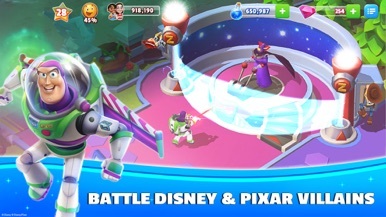 ► Battle against Gaston, Scar, Captain Hook, Jafar and more! 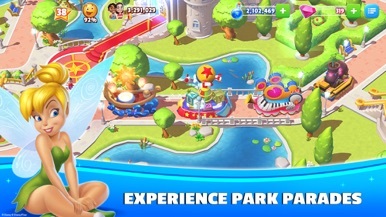 *IMPORTANT* Disney Magic Kingdoms requires an iPad 2 (or newer), iPhone 4s (or newer), or iPod touch (5th Generation). This app allows you to purchase virtual items within the app and may contain third-party advertisements that may redirect you to a third party site. An exciting space shooter game which will bring you hours of fun! Unlock new ships to progress through the zones! Craft useful bots to assist you in your battle! Go up against hundreds of enemies! Fight the three bosses of each zone to collect their reactors and unlock the next ship! Can you reach level 100? Agente-K es un diario digital de moda, belleza y estilo de vida. Escribimos sobre el mundo de la moda hecha dentro y fuera de España. A 3D tap to defend game with a cyber/computer sci-fi theme.